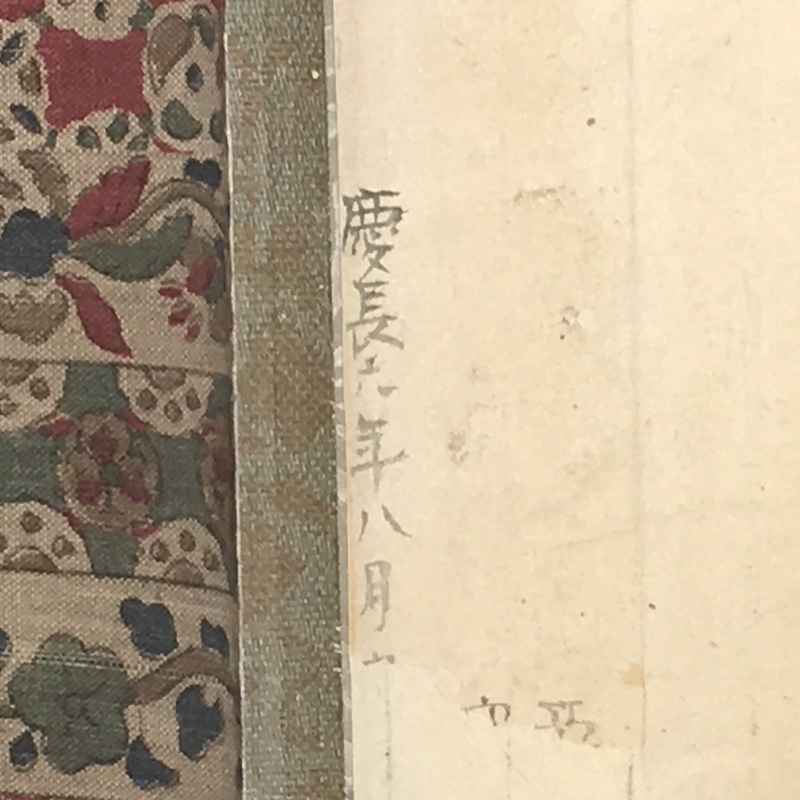 Dated Keicho 6 (1601) but the date would have been added later. 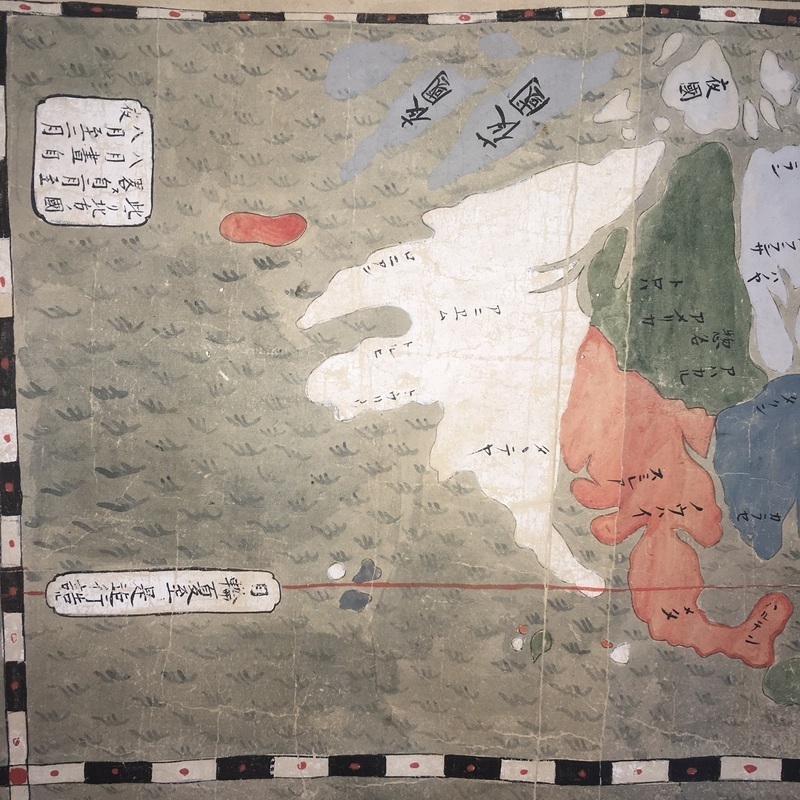 This map was probably made between 1650-1750 and is based on Ricci's 1602 map. 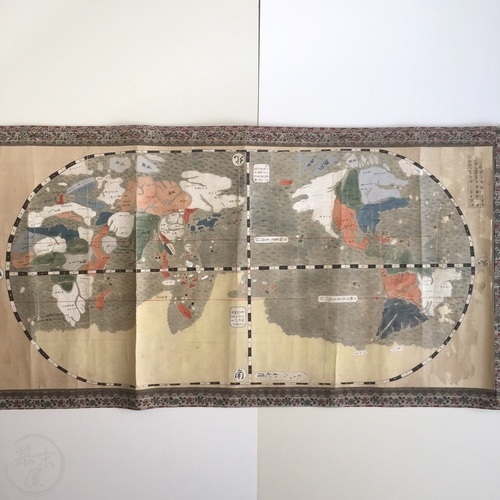 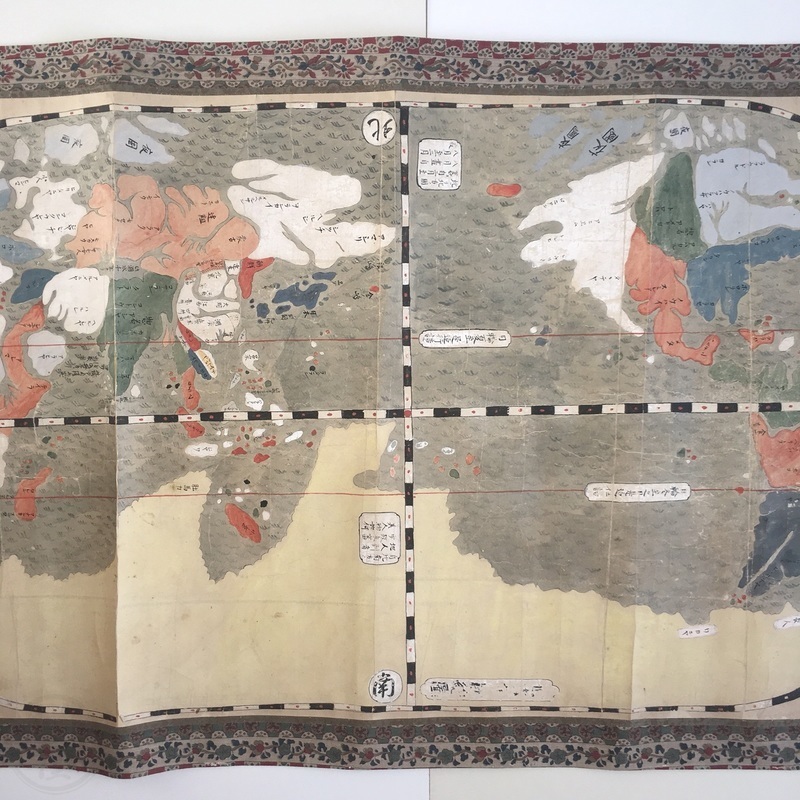 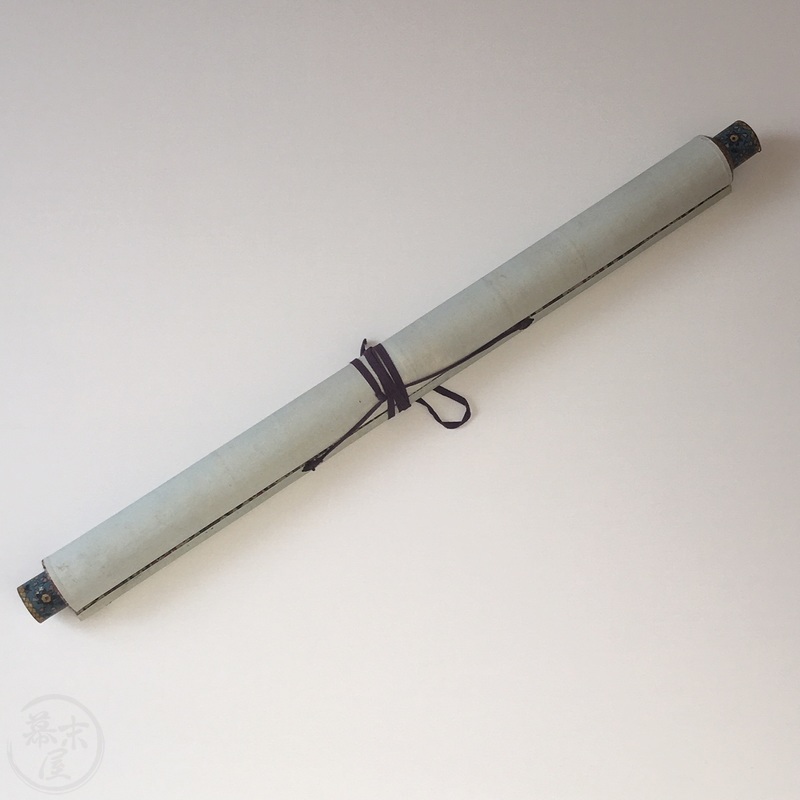 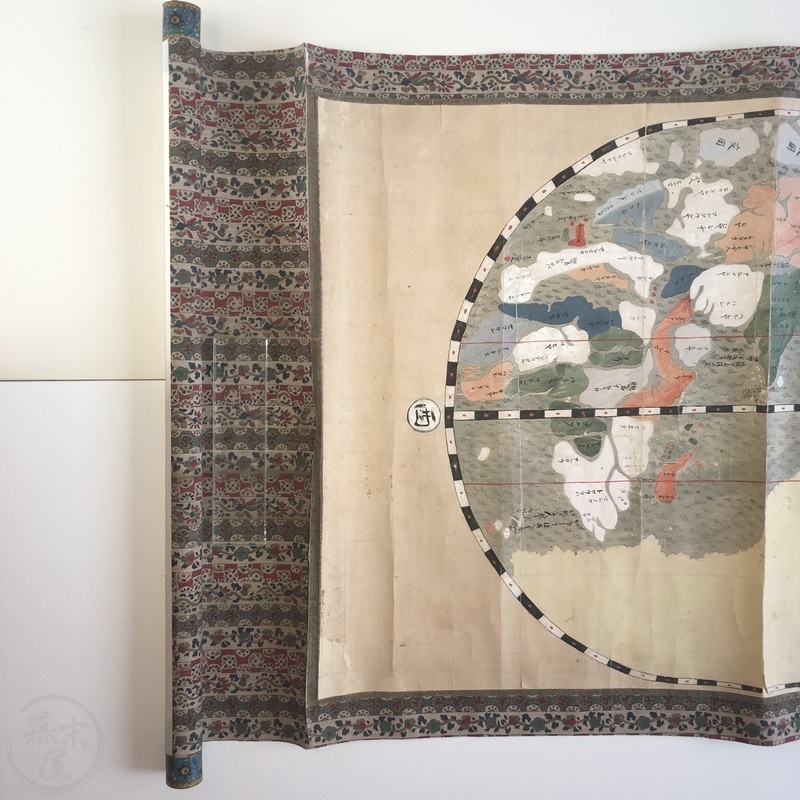 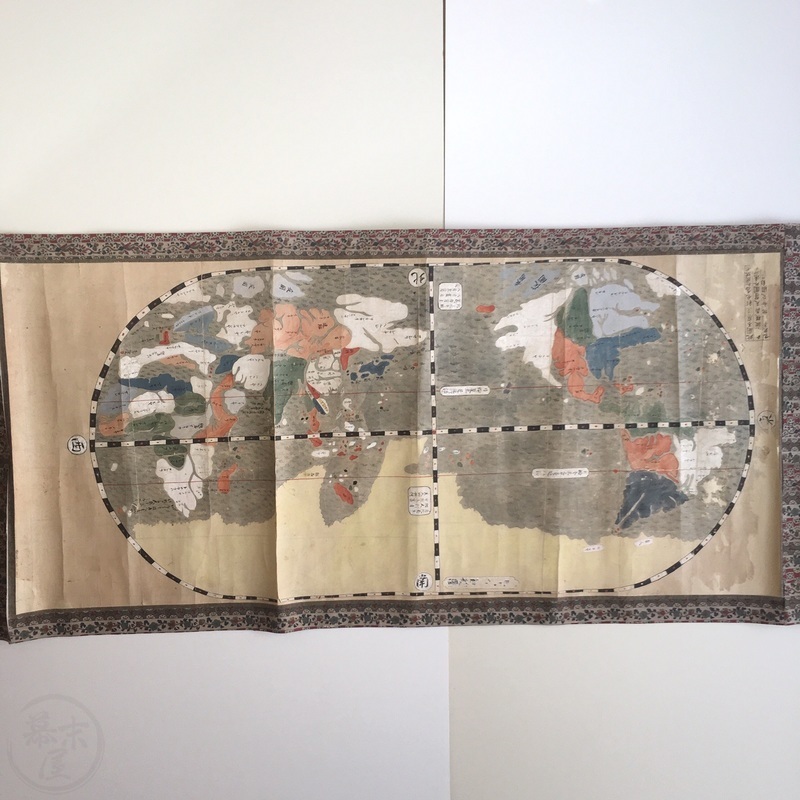 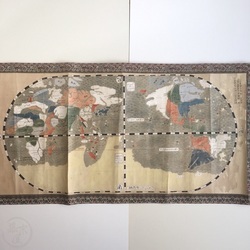 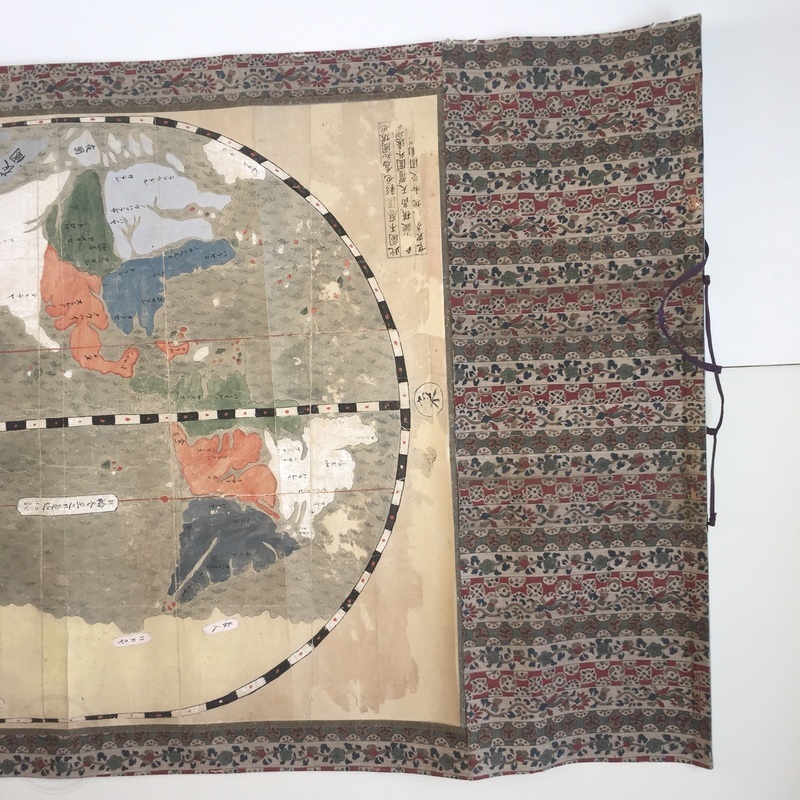 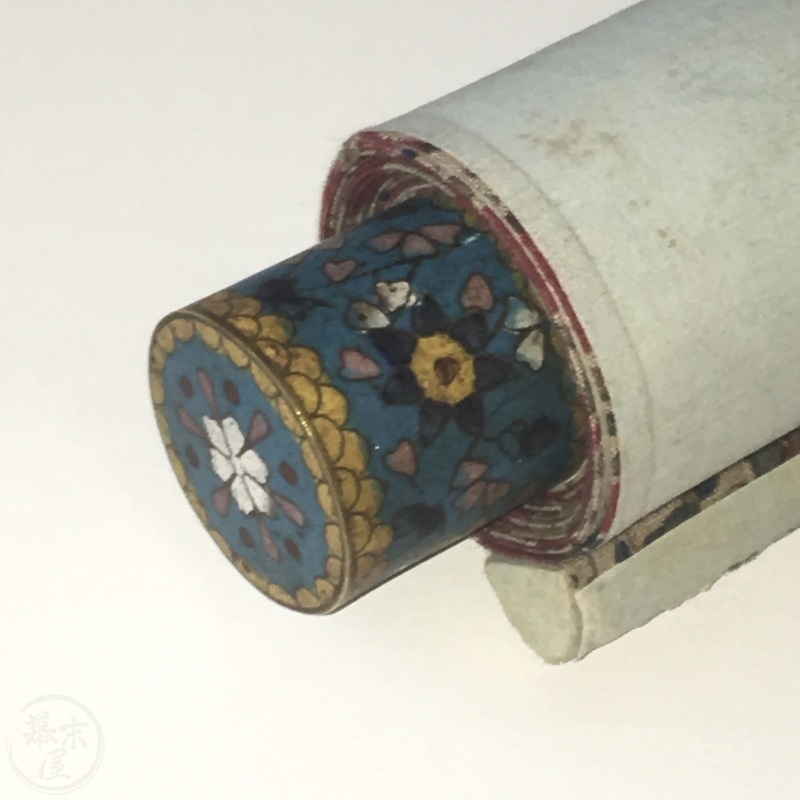 Map measures 126 x 57cm mounted on a later scroll with beautifully decorated cloisonné ends. 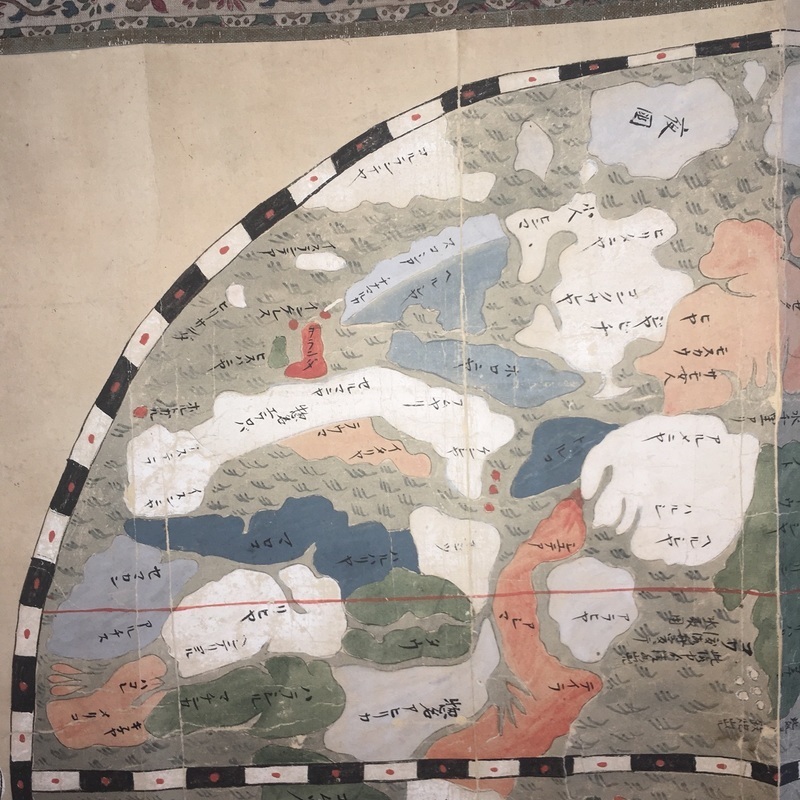 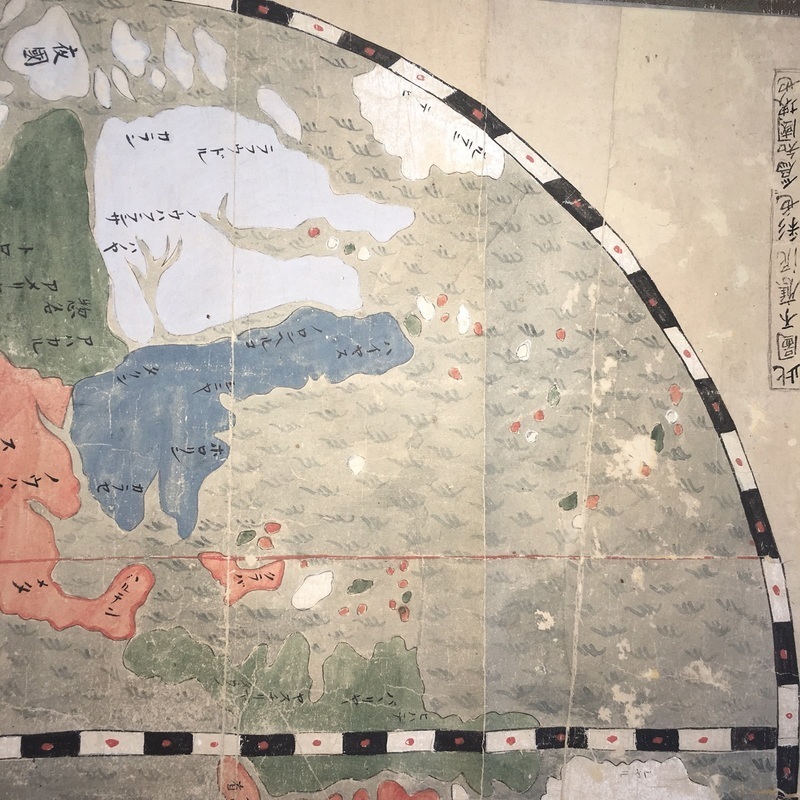 This map is slightly different from the one at the Kobe City Museum (see Cortazzi: Isles of Gold. 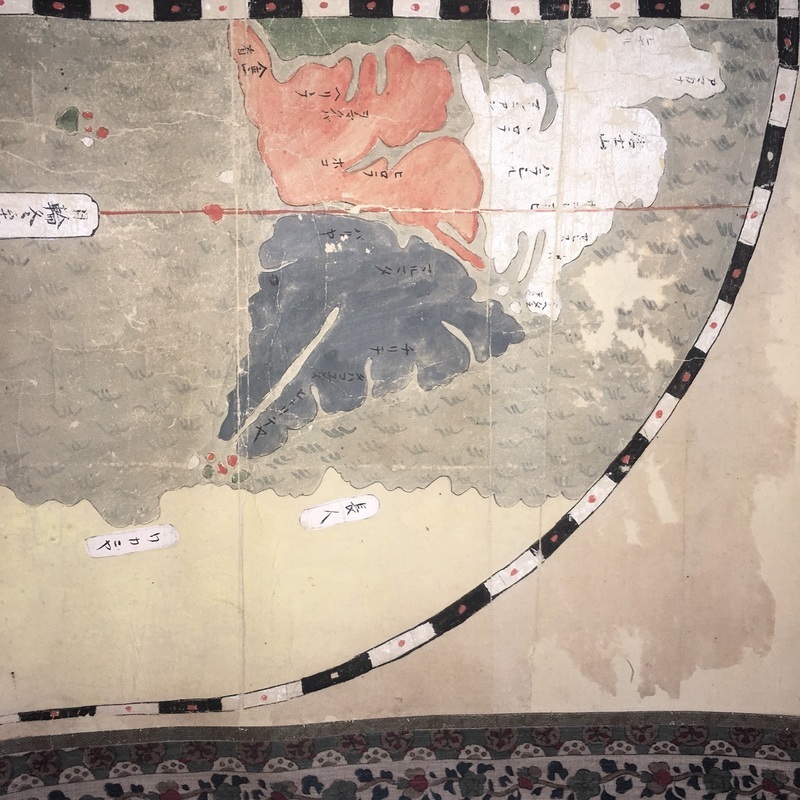 New York, Weatherill, 1983. p.112-113). 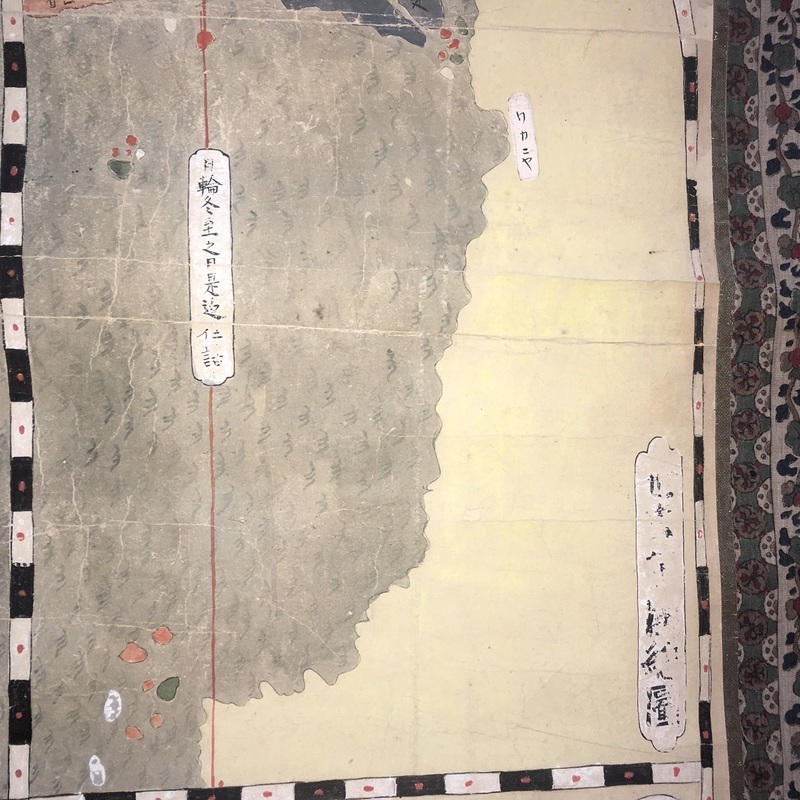 The four ships (one in each corner) are not present and the characters in the boxes of text are formatted slightly differently. 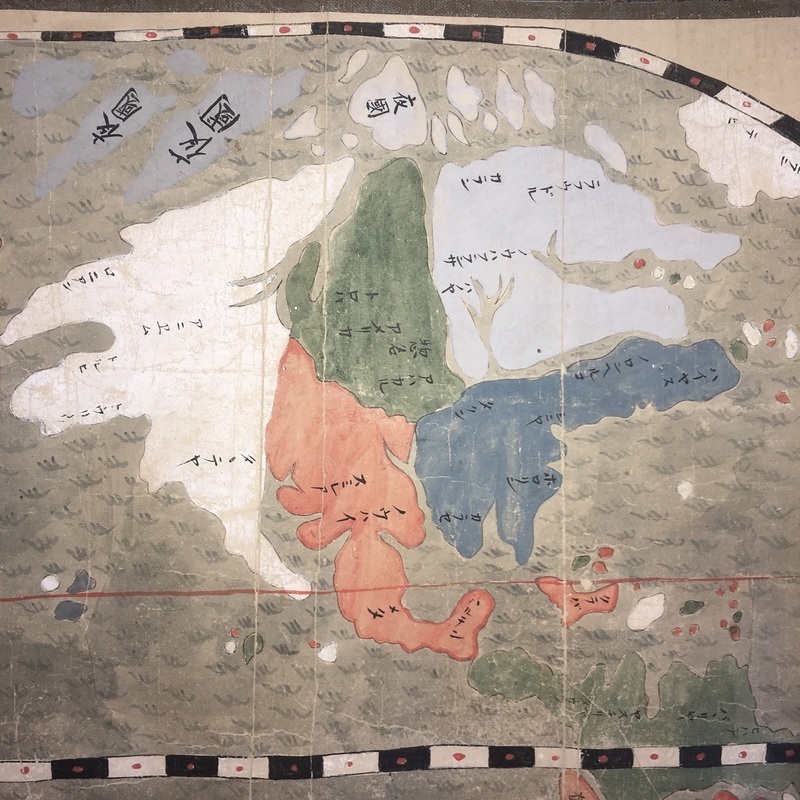 The great unknown land in the south (in yellow) also shown as being huge but loosely resembling the top of what is now Australia. 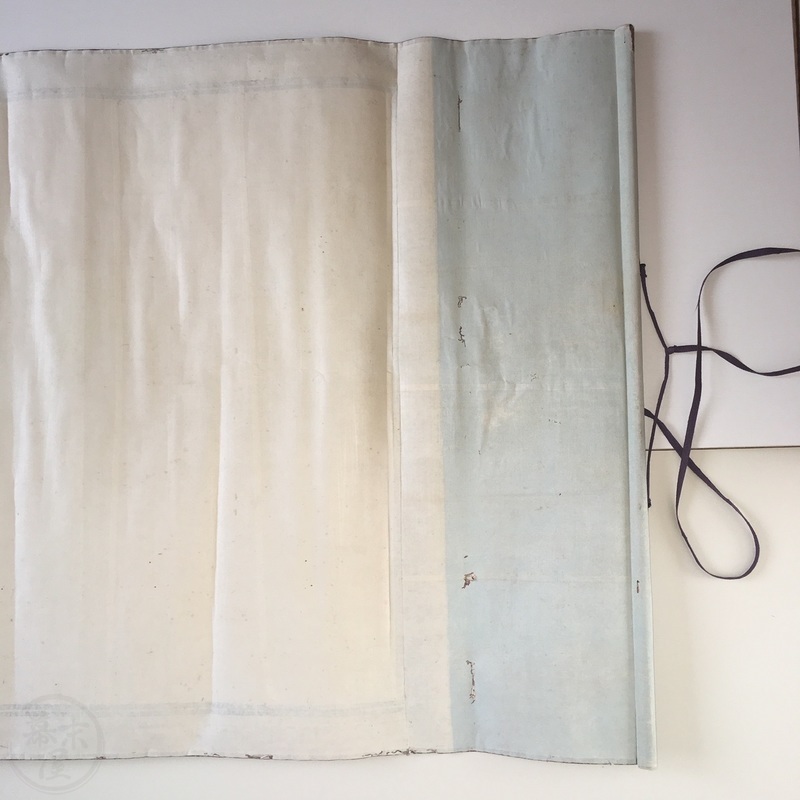 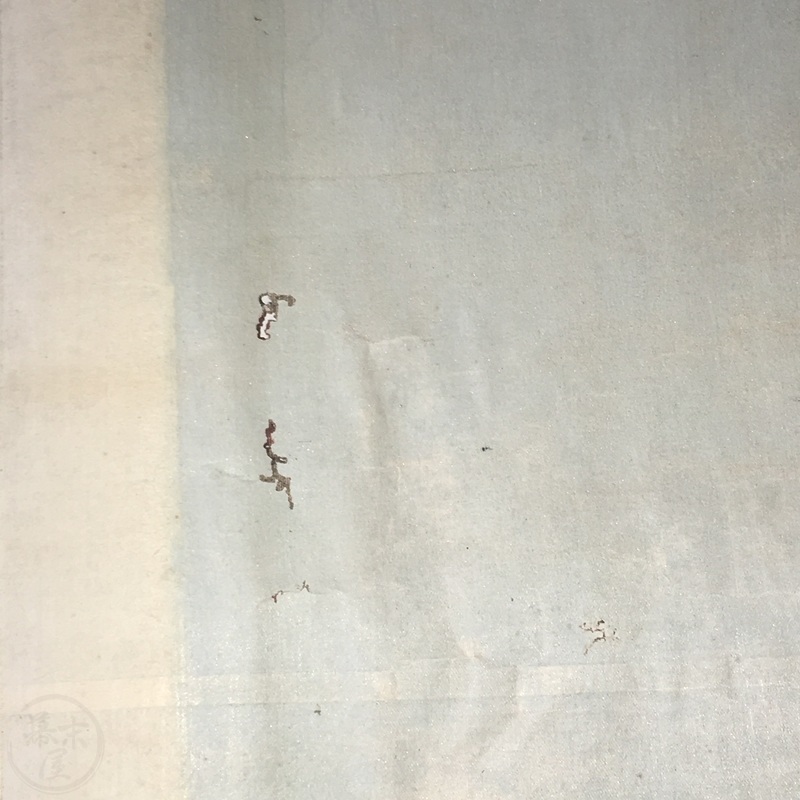 In good condition with some wear and some small areas worn away with some loss of text. 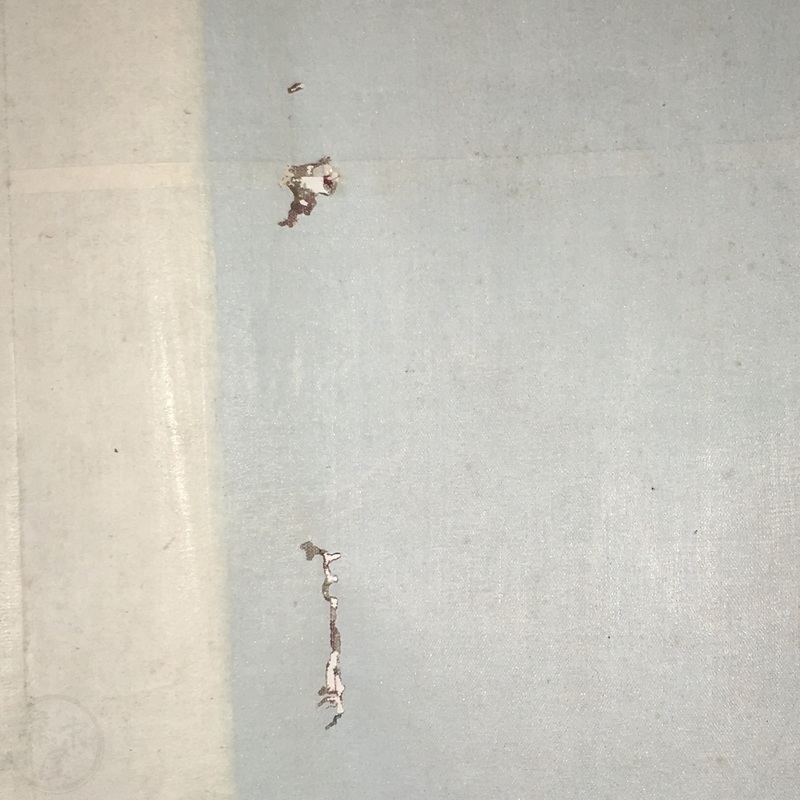 A few small areas starting to peel away from mount but easily repairable. 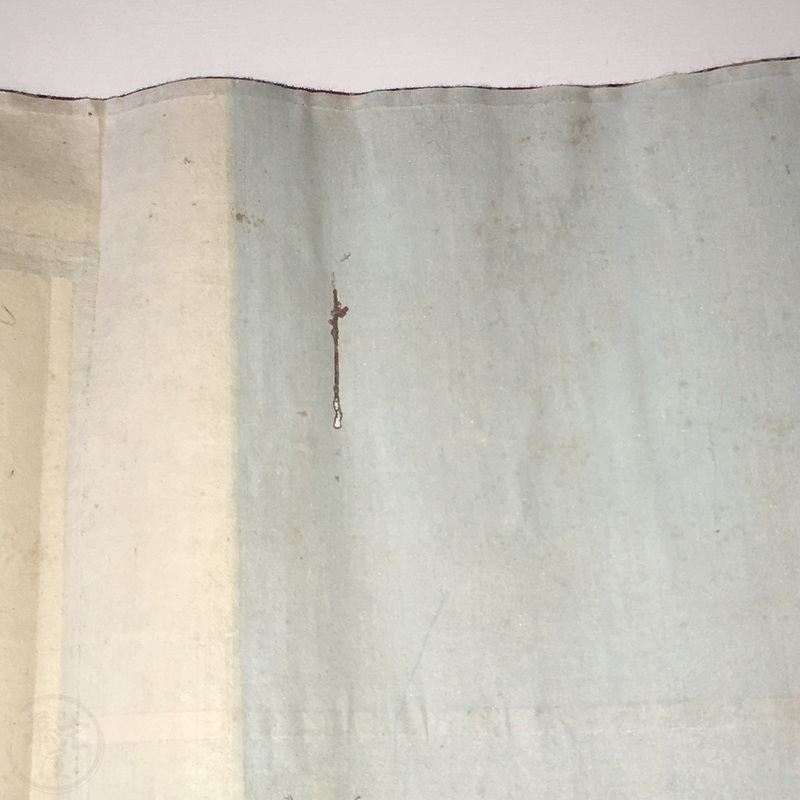 Some small worm damage to the scroll mount visible only on the reverse side, thus not affecting the map itself. 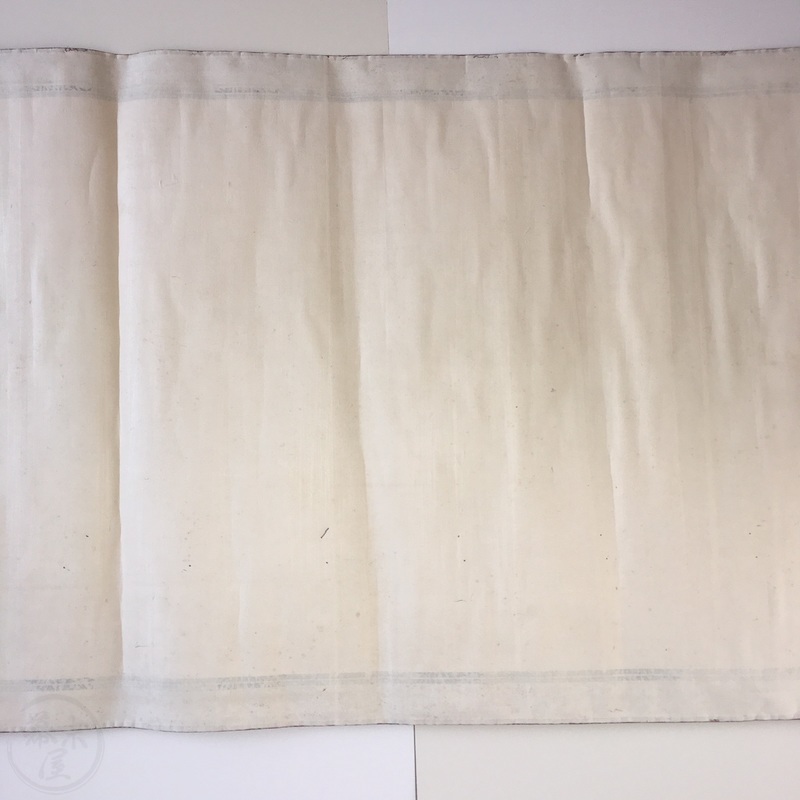 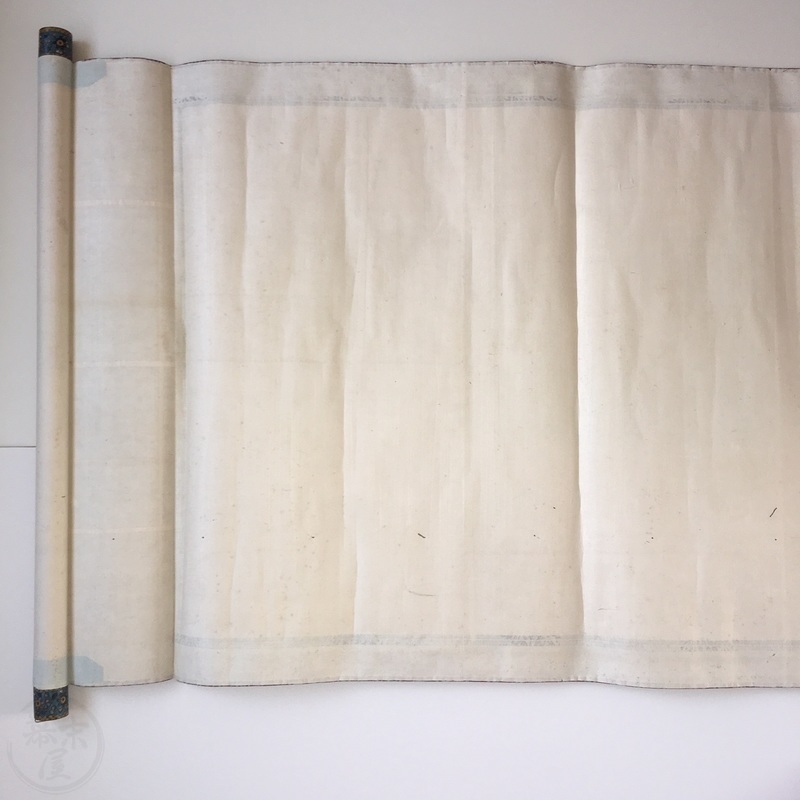 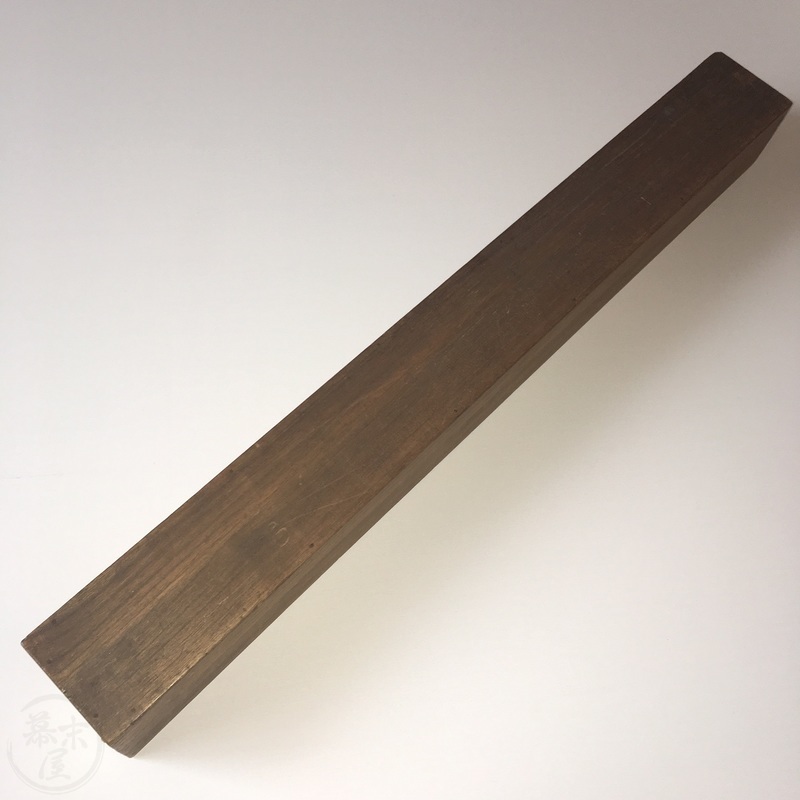 Some creasing when unrolled but overall very good. 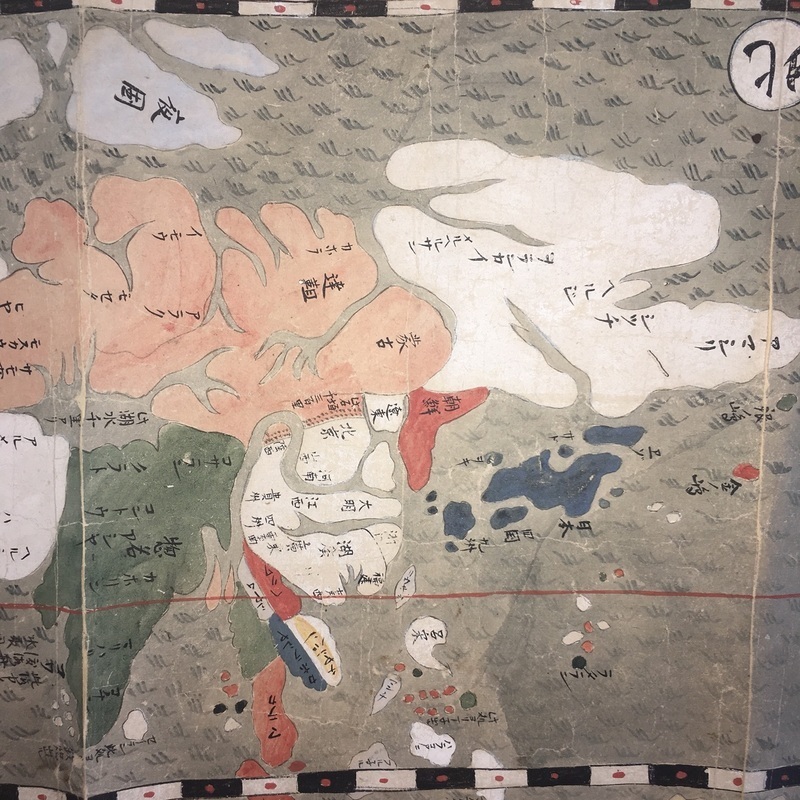 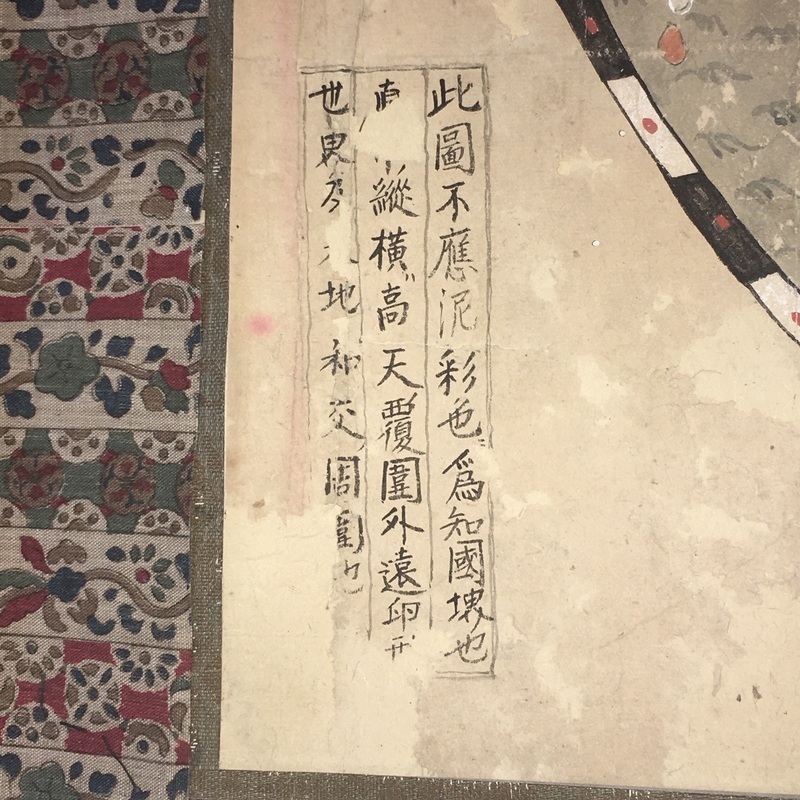 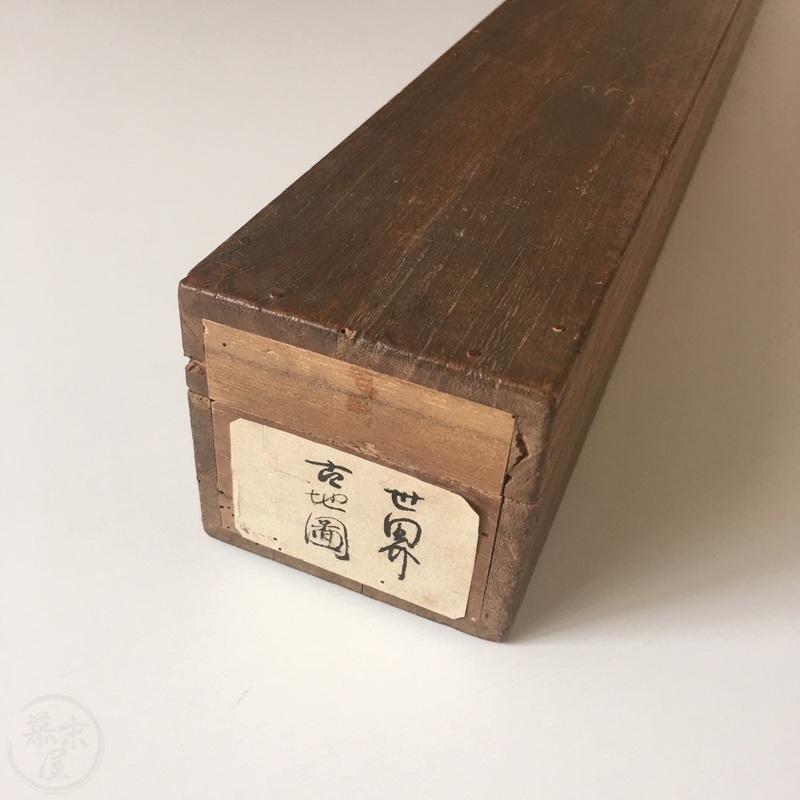 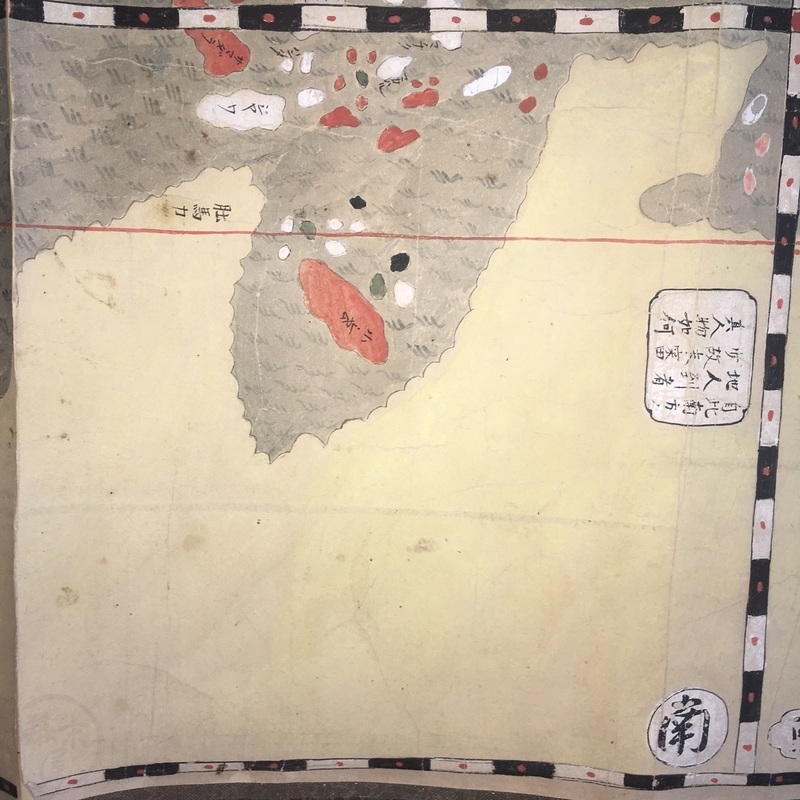 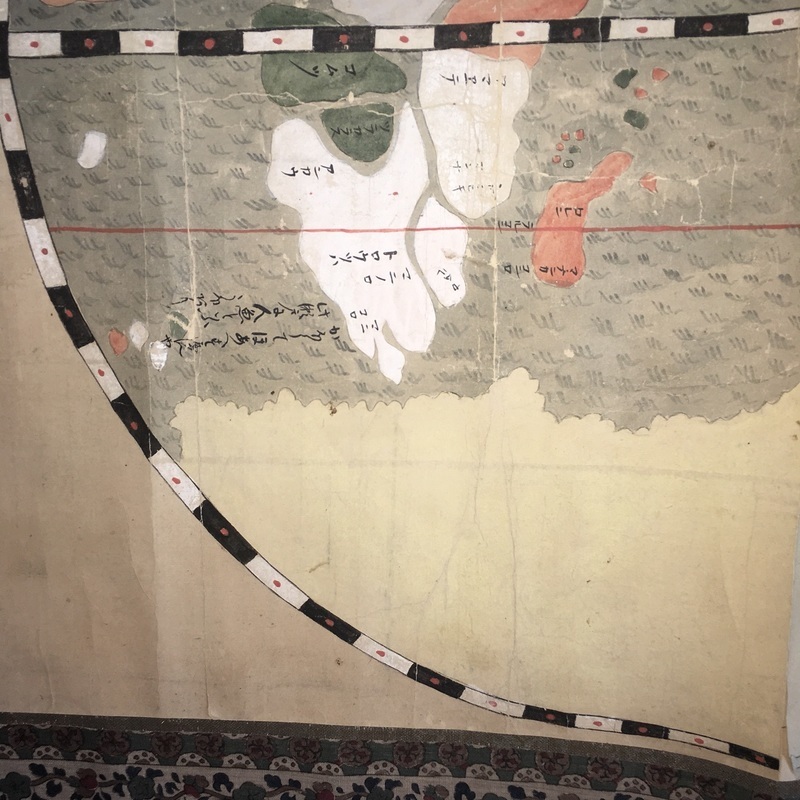 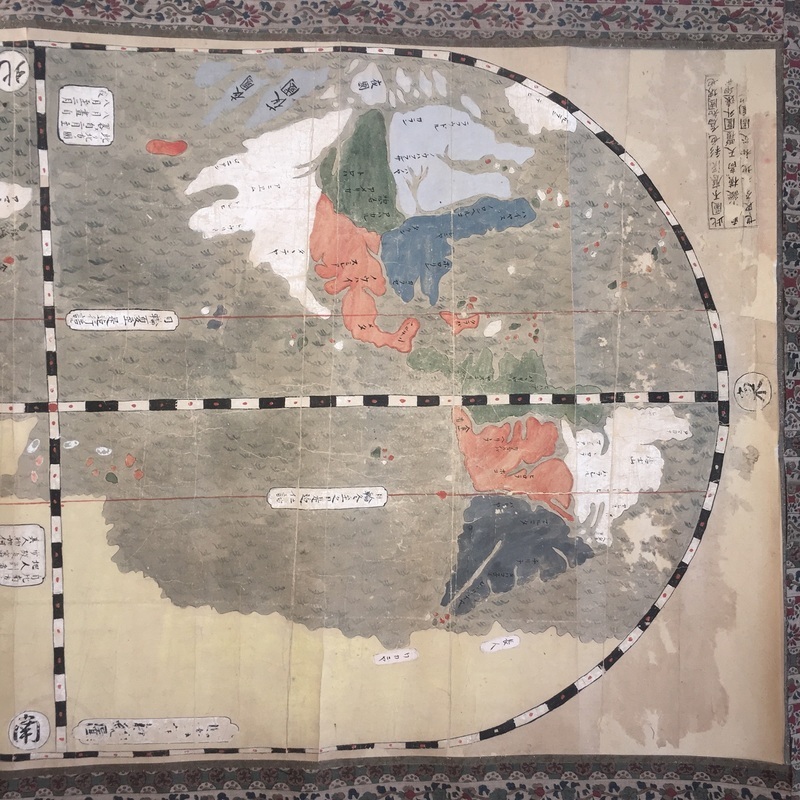 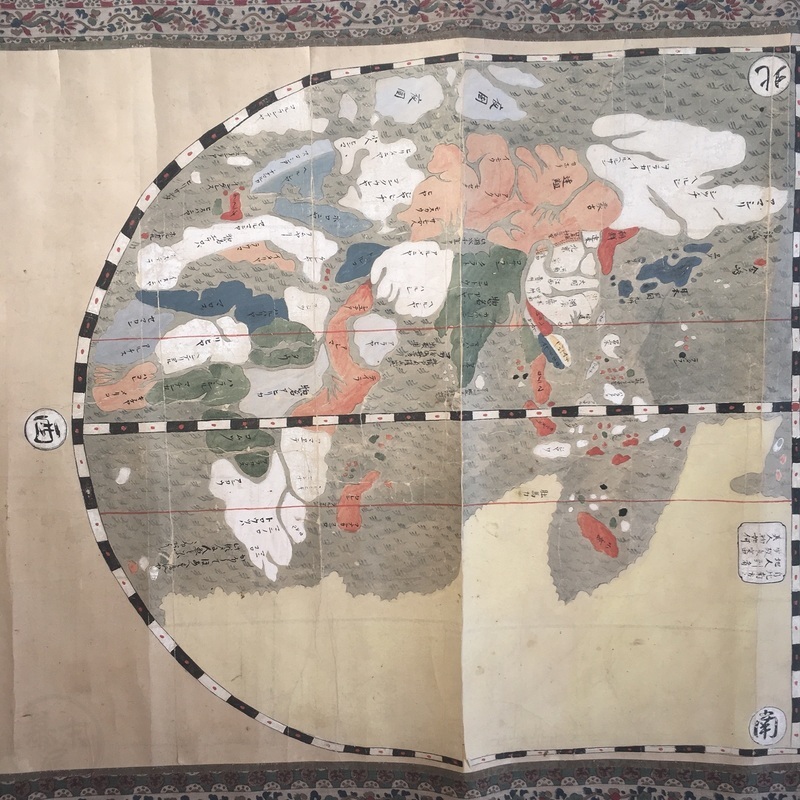 In early box marked 'Old Map of the World' in Japanese.